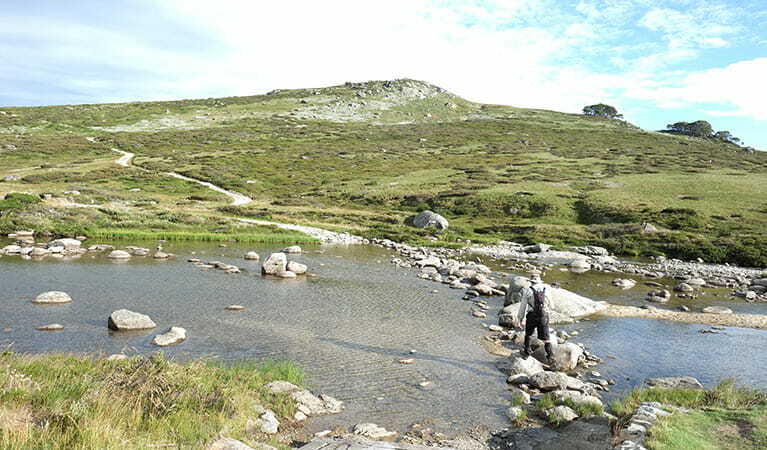 It's a good idea to bring a topographic map, compass and GPS. 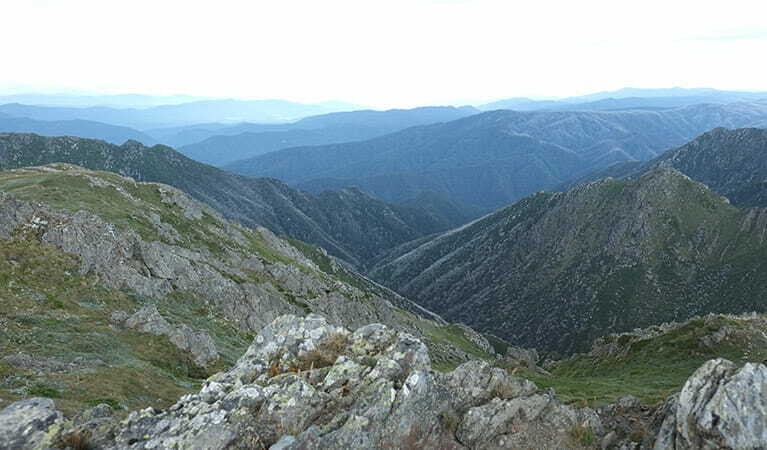 Weather in this area can be extreme and unpredictable. 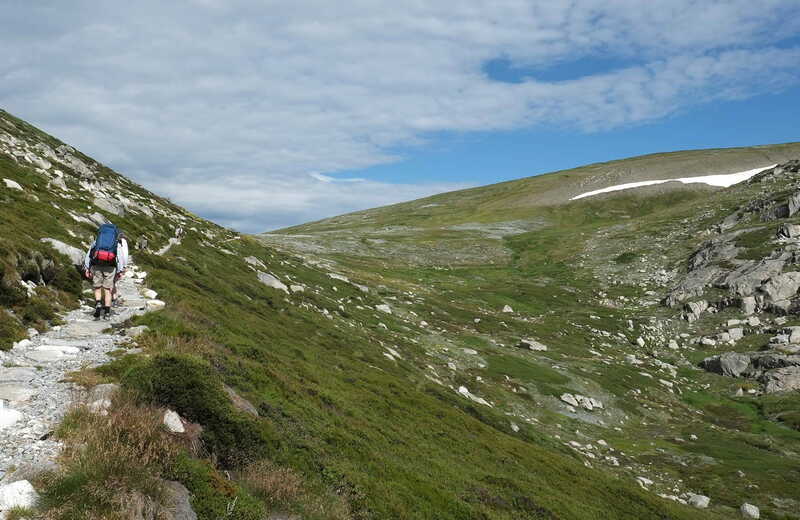 Come well-prepared for your visit and read our alpine safety tips before you set out. 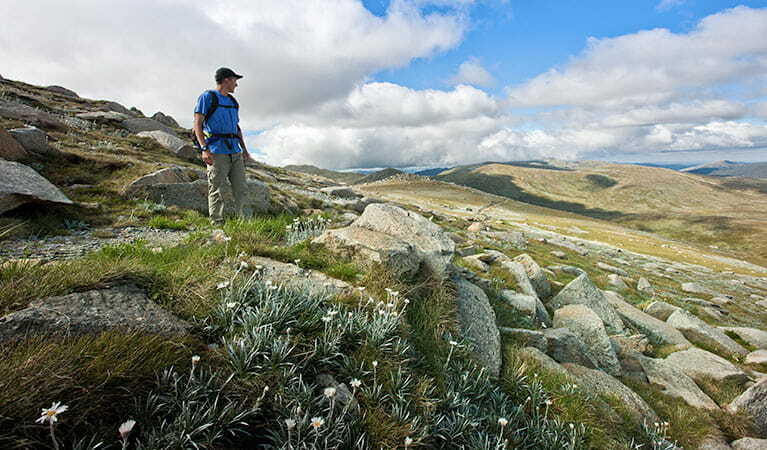 This spectacular, long alpine track is suited to adventurous hikers eager to explore some the highest reaches of Kosciuszko National Park on foot. 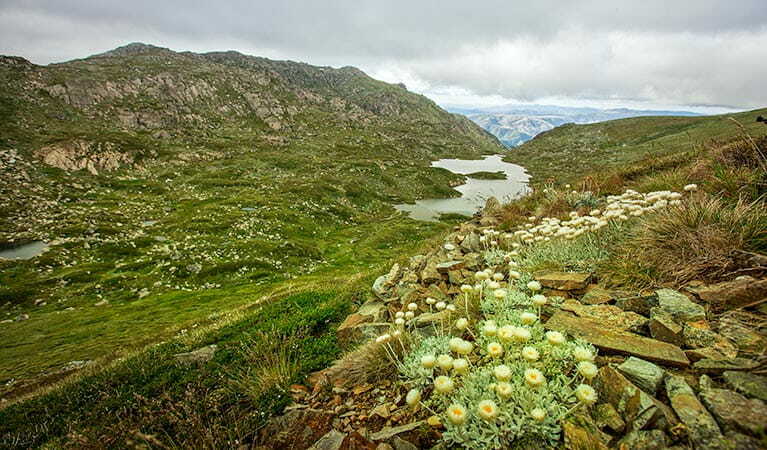 Set out from Charlotte's Pass on the 22km track, which takes you through the glacier-carved landscapes of this protected UNESCO Biosphere Reserve. 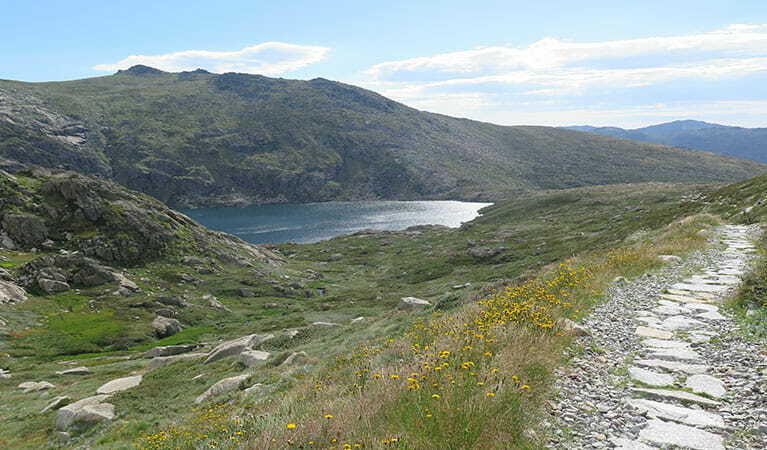 You'll cross the fabled Snowy River, journey past Hedley Tarn and Blue Lake, and be dazzled by wildflower meadows in early summer. 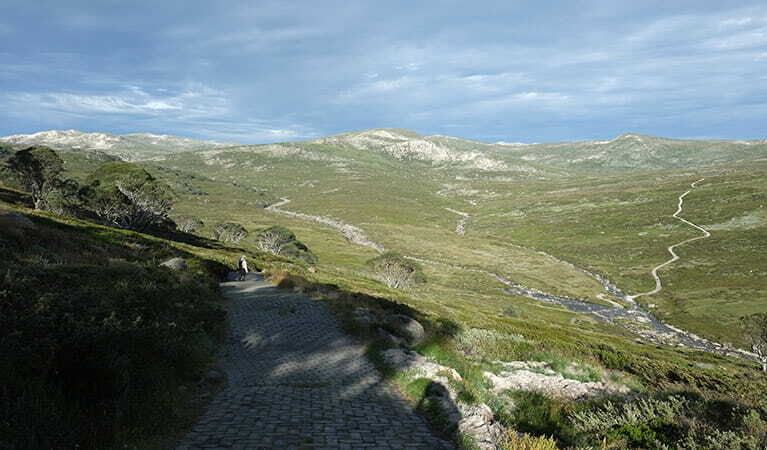 Then it's high up along the rugged Main Range to the very rooftop of Australia, Mount Kosciuszko (2228m), where the views across the Australian Alps stretch as far as the eye can see.